Considering Using Your ITSM Tool Beyond IT? Do Your Homework First! Using IT service management (ITSM) practices and ITSM tools outside of IT is a very popular trend. However, before you approach other lines of business – i.e. other corporate service providers such as human resources (HR) and facilities – you need to do your homework! This could start with its origins. That service management per se is not an invention of the IT department, plus it has a longer history than ITSM. But the service thinking embodied by ITSM is common sense about how to run and manage services systematically. If we look to the ITIL definition: “A set of specialized organizational capabilities for providing value to customers in the form of services” you can see that it doesn’t have to be limited to use in IT service provider scenarios. For example, over ten years ago, I worked in a local real estate management company in Finland and, guess what, we used service management every day. And trust me, we didn’t need to study any ITIL books. So why do we IT folks rave now about enterprise service management (ESM)? As I’ve already attested to, ESM is nothing new. However, the difference now to ten years ago is that we now have the ability to take the non-IT use of ITSM to the next level due to the technological enablement we can offer to other lines of business units. If you stop to think about it, the corporate IT department is not the only internal service provider in the organization and ESM is not just about service thinking. It’s also about the digitalization of the current manual processes, used by other lines of business, and making them accessible to corporate end-users in a similar manner to how employees are used to getting their services in their private lives. Thus, from an end-user’s perspective, ESM is more about consumerization and user experience than it is ITSM. From the service provider’s perspective, ESM is about managing, optimizing, and standardizing the flow of work better, which is often close to impossible if the existing processes are manual with work tasks “hidden” in emails and little insight available on true performance. ESM is about digitalization, it’s about using the technology to improve business performance and outcomes. But don't make the mistake that it’s only about technology – forgetting the processes, organization, people, and the whole lifecycle of service management. Technology is just an enabling factor and the reason why we're having the ESM conversation with business units. This is important! You need to have a strategy on what you're trying to achieve. You need to have a demand management mechanism in place for the new services you're on-boarding to your portfolio. You need to have new types of business consulting skills and to talk in business language as you propose new areas of digitalization. It's a service approach, not a technology project. You can start any line of business with just simple ticketing and an end-user portal implementation, but in the long run there’s so much more we can digitalize and drive benefits from. Innovation – don’t stick to ordinary, look for other ways to support the lines of business. If you want to start with ESM, what should you do first? Stop calling it enterprise service management (or ESM). This is not what lines of business are interested in, and it’s not human language. Instead call it digitalization or consumerization. Find a sponsor inside your organization. Sell the benefits of digitalization, not the technology. Start small, with a proof of concept. Then extend to program at a pace that suits your organizational capability. Digitalize processes that are based on emails or manual forms. If you fix the biggest pain points first – such as those 37 different email addresses for HR questions – the benefits of digitalization are easier to demonstrate. Create a self-service portal. It might be technology but pay great attention to customer experience! Run (what you will still probably term internally as) ESM as a service. Remember the full service lifecycle, design your offerings, and build your service organization around it. This is not a small exercise if you do it properly. Speak each business unit’s language. Don’t assume they understand ITIL, since they typically don’t. Understand the characteristic of each line of business. For example, HR and facilities management have quite different needs due their respective business roles. Sell the benefits to employees. Put lots of effort into organizational change management – after all you are changing how people do their daily work! Provide consulting services to lines of business. Be a partner. Offer new areas of innovation. Build a strong working relationship. Last, but not least. You will need a tool, since ESM is digitalization. Choose the best fitting ESM tool. It might be your existing ITSM tool, it might not. Be objective as all tools will have pros and cons. If you can’t make the events, then follow the Twitter streams – starting with #ITSMFEst this week. 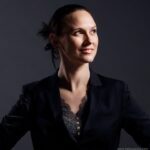 As an ITSM consultant, Elina Pirjanti is working between the ITSM processes, tools, development, and operations. Her ambition is to enhance the relationship between IT service providers and their customers. She focuses on the most important aspect – that the service organization exists to satisfy the customers! Here Aale Roos questions whether the combination of incident and problem management is an obsolete model, how risk management can help, and where Cynefin fits into the equation.